595 1.4 T-Jet coming fitted out with a 1.4l Petrol motor and Manual transmission . It is in like new condition in and out and is on the market in Red with 15903 mi on the dashboard. Send an email or call Cargiant in London today to get more info and organise a test-drive in this 595. 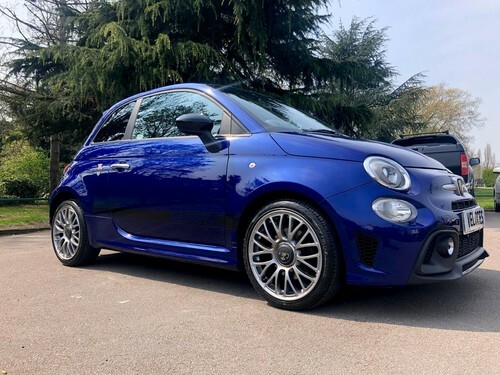 Now offered by our dealership, for the low price of £6,499 is this very popular, top 10 best selling Abarth equipped with a 1.4 ltr Petrol engine and Manual transmission. If you wish to find out more about this second hand car, just contact a member of this dealership's knowledgeable team. At just £8,999 is this Hatchback that comes fitted out with Manual transmission and a 1.4 L Petrol engine. This second-hand one from us at Cargiant has clocked up 36886 miles. To be the new owner of this used car be quick and pay us a visit, at our bargain price of just £8,999 it is expected to sell very fast. This highly sought after 2 door used car encompasses a Petrol 1.4 Litre motor, Automatic transmission with 16000 driven and comes in the tone of Grey. With the fantastic price of just of £8,000 or with the option to buy on finance with manageable repayments available starting at £184.56 pm. This vehicle is on the market on finance commencing from only £184.56 per month. On display at Quality Part X located in Edmonton is this Grey 4 door, Abarth 500 1.4 T-JET 3DR with a Manual gearbox and 1368 CC Petrol engine. Arrange a test-drive right away..
Coming in the shade of Grey, this motor has 50000 miles clocked up on the dashboard and incorporates a Manual 1.4 Ltr engine requiring Petrol. Be the lucky new owner of this 500 - act fast and get in touch with us at Quality Part X at a time that suits you and secure this car right away. Looking to buy a model that is one of the top 10, best selling cars in Britain? 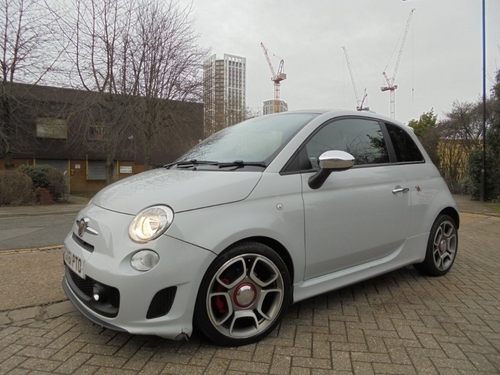 Consider this second-hand Abarth 500 from our dealership in London, it has clocked-up 50000 miles and has a 1400 cc Petrol motor with Manual transmission. 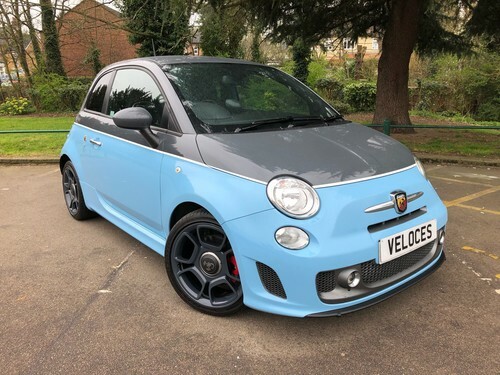 To assist you in paying for this Abarth 500, this dealership also has an assortment of finance options available for you to take advantage of; your repayments could start out at only £218.71 per calendar month. 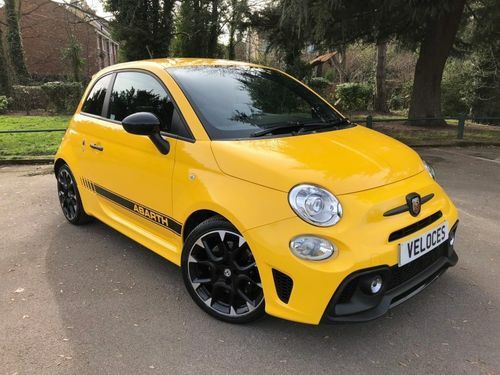 Located at our dealership, for the low price of £6,980 is this best selling Abarth 500 1.4 T-JET containing a 1400cc Petrol engine and 44751 miles on the dashboard. Be the next proud driver of this Abarth 1.4 T-JET Hatchback and learn what made it one of last year's most sold motors. Simply chat with the informative sales team at Quality Part X Edmonton to get more information about this vehicle. 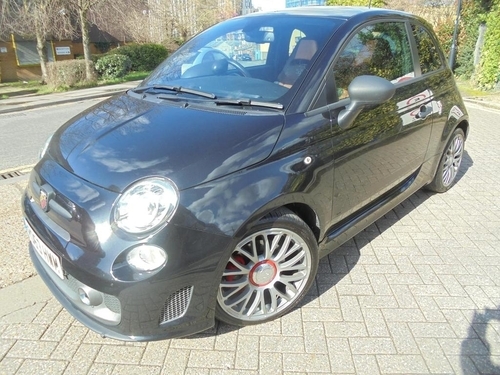 Have a closer look at this 595 1.4 T-JET COMPETIZIONE featuring Automatic transmission with a 1.4 LTR Petrol engine. This used one has 56000 miles clocked up on the dash. Wembley Prestige Cars is ready to help you in the buying of this used car, simply call or visit a member of their knowledgeable team. With a 1.4 LTR Petrol engine and Manual transmission, this second hand 500 is finished in the tone of Grey and has 68000 miles clocked up on the dashboard. If you'd like additional information about this second-hand 500, don't delay to visit or call to have a chat with a member of our friendly customer support dept at Wembley Prestige Cars. This used car is currently available to buy from this dealership in London, with 23000 miles on the dashboard, 2 doors as well as a 1.4 L Petrol engine and Automatic transmission. Call or visit to have a chat with the customer care department at Different Class Cars to find out what more this vehicle has on offer. 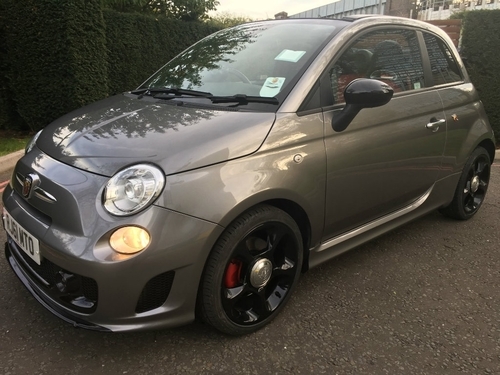 Now offered by our dealership, for the incredible price of £9,995 is this top ten, best selling Abarth 500 595 1.4 T-Jet 140 BHP 5 Speed Just 1 Owner Only 26 featuring a 1400cc Petrol motor. At the fabulous price of just £9,995 or you could buy this car on finance with evenly distributed, manageable instalments beginning from just £230.59 per calendar month. Discover what it is that made this 500 595 1.4 T-Jet 140 BHP 5 Speed Just 1 Owner Only 26 one of Britain's best selling cars by speaking with to arrange a test drive. Near mint, low mileage 595 1.4 595C COMPETIZIONE 3D currently on the market at £17,990 or from £415.03 per month. It has only clocked up few miles and contains a 1368 CC Petrol engine. Get down to Veloces of London in the New Barnet Showroom area to take this Abarth 595 out for a test-drive. Get in the driver's seat and experience how it feels out on the road. This car has low mileage and it's been on the road for less than a year. Priced at just £15,990, it isn't likely to be up for for sale for very long. Don't miss out on this terrific offer from Veloces of London in Barnet. This motor has a 1.4 Ltr Petrol motor with Manual transmission and it has clocked-up 17000 miles. It's available on the market for the total price of only £10,990. If you are interested in buying this car, simply contact a member of this dealership's expert team. This second hand 124 from Veloces of London has Manual transmission, a 1368CC Petrol engine and 5900 miles on the clock. 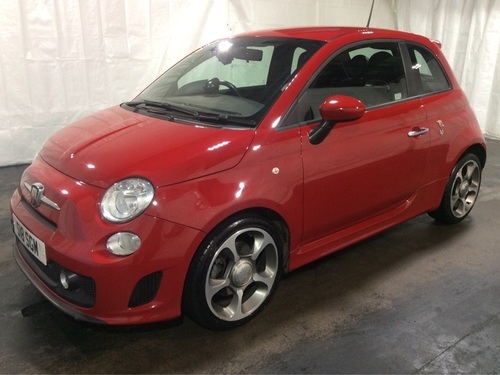 Come to test-drive this Abarth. This Multi 595 1.4 T-JET TURISMO 3DR (2015) comes equipped with a Petrol, 1400cc engine and Manual transmission and it could be all yours to drive away before you know it. Just contact helpful team at Veloces of London in Barnet. At your request, the friendly team will be able to match a instalment plan with achievable payments that suits your wallet, giving you the possibility to be driving away this 595 1.4 T-JET TURISMO 3DR (2015) sooner than you think. This used car available from Veloces of London at £15,500 hasclocked up 15000 miles and is finished in the shade of Yellow. As expected from a car of this class, this 595 comes ready with an extensive variety of extra specifications and features, further enhancing your driving experience. 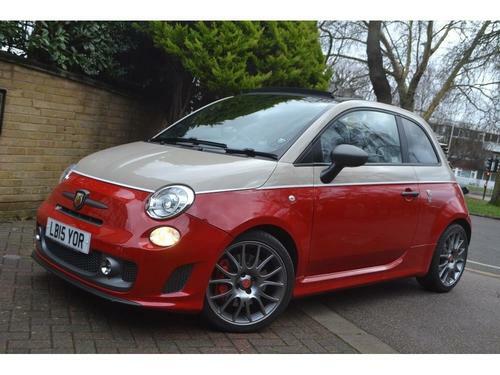 By making use of this dealership's brilliant finance deals starting off at £357.59 every month, you can be the new owner of this Abarth. Simply call or visit one of the knowledgeable advisers at Veloces of London for a more in-depth discussion. Showing 1-18 of 521 items.